What Type Of Assistive Listening Device Is Right For You? 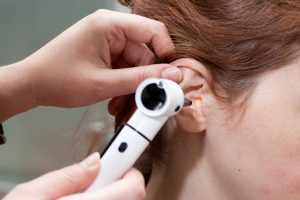 Though you should see a professional audiologist to determine which assistive listening device is best for you, It is good to be informed of your options. As assistive listening device is a little bit different from a hearing aid because it is used on an as needed basis. People typically use these temporarily to help enhance sound in a particular environment. These devices also help to amplify certain sounds that you want to hear while blocking out background noise. There are several types of assistive listening devices and it’s important to choose the best one for your specific needs. While you should always consult a professional, here are a few types of assistive listening devices to help you narrow down your decision. This type of assistive listening device is a small box that has a cord and a microphone attached to it. It is best used to amplify sound in a one-on-one conversation. The person you are talking to will simply attach the microphone to their clothing and plug the wire into your amplifier, making their voice a lot louder. These amplifiers also help to fade out the background noise so that you can only hear the conversation you two are having. The downside to this option is that the amplifier has a wire attached so it’s not good for any situation that requires a lot of movement. For more mobility and the ability to hear sounds from further away, an FM system is a good way to go. This assistive listening device using radio broadcast technology to amplify the sound that you want to hear. The speaker uses a transmitter that can amplify sound that’s up to 150 feet away. This is good for classrooms and outdoor activities since it is wireless and allows you to hear from longer distances. This assistive listening device will cost you more than the personal amplifier, but it also comes with more flexibility. This system is similar to FM, except that it uses light waves instead of radio waves to transmit and amplify sound. This is better for situations that require some privacy because unlike radio waves, light waves do not pass through walls. You can use these in a public setting as well such as a movie theater, however there is one downfall that comes with this option. The signal can be blocked pretty easily by a person walking by or anything that comes in between the listener and the sound emitter. The sun is also something that could interfere with the signal. It still provides you with the mobility option, but not as flexibly as the FM system. This assistive listening device uses insulated wire to wrap around and connect to a power source. With this option, you can choose your range of hearing. The size of the loop depends on how far out you want to hear sound. This method also provides mobility because the listener is not directly connected to the loop. However, the insulated wire is limited to the space that it is placed in, which does place some limitations on how far away you can go and still hear. This method can be used in addition to a hearing aid or separately. Are You Experiencing Hearing Loss? Contact Bay Area Audiology Today! This entry was posted on Friday, March 2nd, 2018 at 8:29 pm. Both comments and pings are currently closed.